As made very obvious.. today's post is a review on inm's Out The Door top coat! I told you guys before that my top coat was running low and I needed a new one. I got suggestions to try this one out and I was really convinced by Jayne (CosmeticProof) since she had been saying it was her new favorite top coat. There's a pleasant story about going to buy it too. I went to CVS to find this and usually CVS doesn't have too big of a selection so I started to get upset when I didn't see it. As I was about to give up, I found it! So as my mom and I were checking out, she had a 30% off coupon on her card as well as a few dollars off from their "CVS Bucks". I was really shocked when I saw the total go from $11 to $3. So not only did I find the top coat, I got it, a neon polish, my newly discovered favorite flavored water, and some snickers for less than the top coat itself. Such a great day! So far, I'm liking this top coat much better than my last one. My last one was thick, gooey, and kind of "sticky". Even though it did dry fairly fast and give me a great shine, I wanted to find a new one that would give me better results. The OTD top coat is a lot thinner than my last one, it brushes on very smooth and it give a really nice shine to my nails. I've also noticed it lasts so much longer. With my previous top coat, my nails would begin to peel near the edges. Whenever I saw that it was starting to come up, I couldn't resist but to peel it off. I could literally get the entire polish of the nail off in one piece.. not pleasant. Basically, it wasn't coming off and if it was, it was going to be in several pieces. In the end, I used nail polish remover to get it off and repainted that nail. ▪ None that I can think of. Let me know what you think of the changes to my blog? wow! I want to try this top coat! I know Jayne loves it too, and with your glowing review it seems like a must-have product! HAHA, no cons! Yes!! I'm so glad you love it! I love how much thinner it is than the Seche Vite. I hate gooey topcoats. OTD also has some of the best shine around! Also, I do like the new blog layout and colour scheme. It's super fresh and uplifting! Haha, yep! Me too, I really don't like the gooey ones. The shine really is great! Aww, thanks Jayne. (: I like the transition as well. Yay! 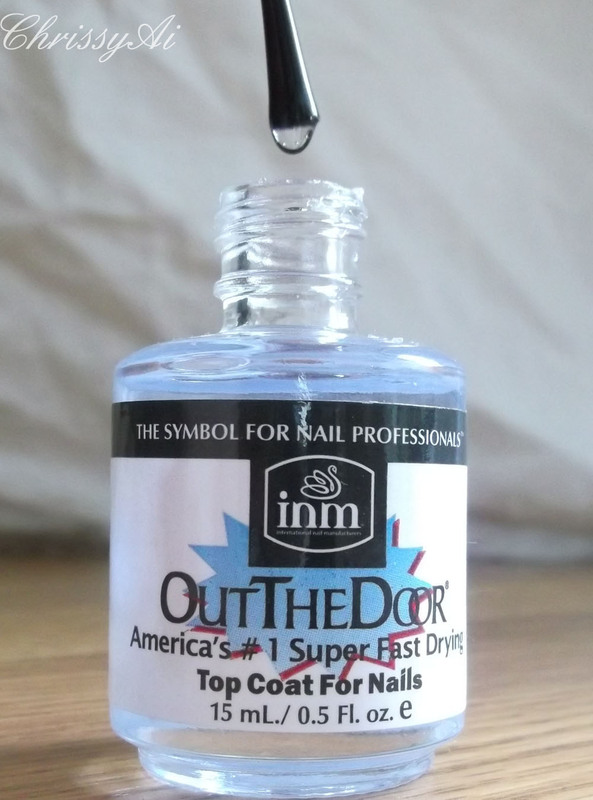 Great review and glad you found this to be a good top coat! I definitely can't wait until I'm done with my current top coat lol. I love that you got this and your other items at a great deal! Me too, I was so surprised!